To showcase the Silverado during Summer of Chevy, we chose to go a different route in our filming. Earlier this year, Jeff Gordon Chevrolet met Bill O’Brien and a few other board members of Veteran Owned Veteran Grown, a local non-profit that aids veterans by giving a renewed sense of purpose and potential entrepreneurship through agricultural endeavors. The ultimate goal is to help veterans live a full, sustainable life and build a stronger community together. Please enjoy the short feature that we produced on site at Veteran Owned Veteran Grown, starring some of their members with a little help from Team RWB Wilmington. It was a beautiful day of shooting at Veteran Owned Veteran Grown Inc, headquartered in Burgaw, NC. For More Information on Veteran Owned Veteran Grown, their upcoming events, fundraisers, or how you can get involved, please visit their website or Facebook Page. CLICK HERE TO READ ABOUT SEPTEMBER 2014 TRUCK MONTH INCENTIVES. That’s right, it’s Chevy Truck Month all March long! 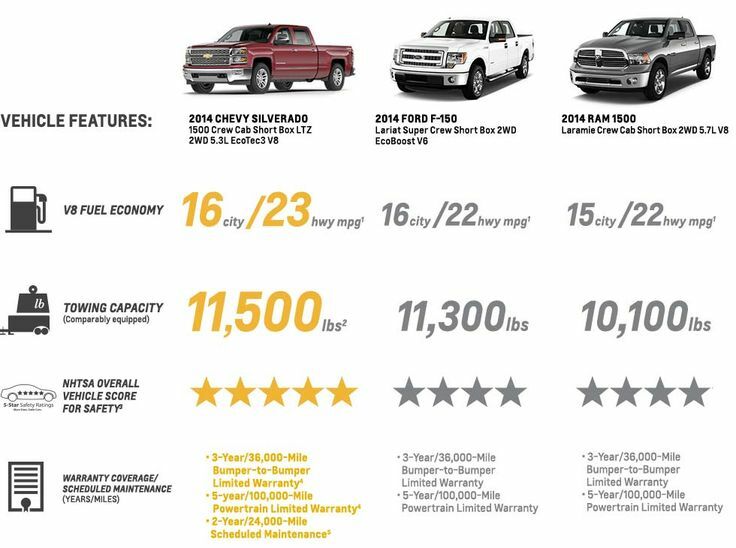 Every year, Chevrolet picks one (or a couple) month(s) where it features insane deals on its pickup trucks. The biggest savings are going to be on the 2014 Silverado 1500 Crew Cab All-Star Edition 4WD. With $3,500 cash allowance and a $4,041 price, buyers will be able to receive a total cash value of $7,541. Chevy is also offering a low-mileage lease offer on the 2014 Silverado LT 2WD double cab for $299/mo for 36 months with $2,809 due at signing. All new Silverado 1500’s also come with an optional financing incentive: 3.9% APR for 36 months + $750 Truck Month Cash. And 2014 Silverado 2500 and 3500 buyers can take advantage of 0% APR financing for 60 months. Click here for more Truck Month incentives. Jeff Gordon Chevrolet is one of the largest new Chevrolet dealers in the southeast U.S. region and currently has over 100 new Silverado 1500’s and over a dozen new 2014 Silverado 2500HD’s remaining. Jeff Gordon Chevy also offers additional discounts for Costco members, credit union members, college students, military personnel, and much more so you feel confident that you’ll be getting the best price from us. And, when you purchase from Jeff Gordon Chevrolet, you don’t just become another customer, you become part of the family so you can be rest assured that we’ll be there for you long after the sale. If you don’t live near Wilmington, NC, we can arrange hassle-free delivery of your new Silverado with our exclusive door-to-door delivery program right to your front door, anywhere in the country. Jeff Gordon Chevrolet is also just a 10-15 minute drive from our local airport – ILM. If you’d prefer to drive your new truck home, we can pick you up right at the gate! And, don’t forget that you can also create your deal right online with Shop.Click.Drive. – the revolutionary new way to buy your car online. Choose the truck you want, get pre-approved, estimate your trade, determine your payments, and schedule a time to pick the vehicle up or have us bring it to you! For more information on Chevy Truck Month or other current offers, call the internet sales hotline at (910)798-2650 or fill out the contact form below with any questions! Since the Silverado got it’s redesign inside and out last year, critics have been an extremely hard time trying to find anything bad to say about it. Besides the sleek and sharp-looking new body style, the new Silverado has undergone some re-engineering under the hood and some redesign on the inside to create more space for your passengers, cargo, and whatever else you may want to store, which is coming in handy with all of the awards it has been winning. Every year, AutoWeek does some extensive research on all newly-introduced cars (sedans, coupes, hatchbacks, convertibles, sportscars) and trucks (crossovers, SUV’s, and pickups) to the market and determine just one car and one truck as “the best.” Each new vehicle is expected to have best-in-class performance, economy, fit and finish, and reliability, to name just a few key areas. Billions of dollars ride on them, as does the success (or failure) of their companies. So what does this title mean? Of all the cars and trucks driven, AutoWeek testers narrowed them down to 2 that they collectively think sit at the pinnacle at the automotive mountain. They choose the most appealing and enjoying vehicles to own – that they themselves would happily drive daily.Chevrolet pulled off a first-ever clean sweep with this year’s awards naming the Corvette Stingray as best car and none other than the Silverado 1500 as best truck. Read the full article from AutoWeek here. the U.S., and be on sale by January 15, 2014. The Silverado won. You can read the rest here. This is an award that is judged and determined by qualified fleet managers reflecting all industry segments and fleet sizes. As you can probably guess from the way this post is going, the Silverado wins again. Feel free to read the entire article here. Here’s something else that says the same thing with more words. The 2014 Silverado 1500 with its 5.3-liter EcoTec3 V8 gets 355 horsepower and 383 pound-feet of torque, is mated to a six-speed automatic, can tow 11,500 pounds with the optional Max Trailer Package, and costs the same as the outgoing Silverado, $24,585 (*including $995 destination fee). With all of that, the 2WD gives you 16 MPG city/23 highway, and the 4WD gives 16 city/22 highway. That’s better than the Ford F-150’s V6 engine with EcoBoost. Well since you’re already going to be saving money at the pump, save money at your Chevrolet Certified Service dealership (Jeff Gordon Chevrolet) and don’t pay for any regular maintenance for 2 years/24,000 miles (whichever comes first). That’s just a sweet deal. So with all that being said – you shouldn’t be contemplating which truck you’re going to buy, you should be contemplating which Silverado you’re going to buy. And if you still need some more, we got it. Click here to find out how the Silverado stacks up against the competition. Well, you can call us on our internet sales hotline @ (888)261-0090, or you can chat with us live by clicking the icon below and we’ll set you up a test drive or an appointment to make a deal!